Featured Article: Why Do Wolves Howl at the Moon? When I came in contact with my first wolfdog almost nine years ago, and with the wolfdogs that became the first members of the Wolf Connection pack five years ago, I could never have dreamt of the course events would take and the things we would accomplish. In such a short period of time we secured and developed our first facility, we rescued and housed 52 wolfdogs, and we established leading standards on health care and behavioral training. In addition, we have presented in front of thousands of kids both at our facility and at schools and community sites, have been featured on Channel 5, channel 7, Fox News, the Antelope Valley Press, The Signal, AOL News, and The New York Times. We have 150,000 followers on Facebook, and over 2,000 registered members on our site. We have doubled in size every year for 4 years and developed strong partnerships not only in the animal rescue world, but with foster care, probation, and substance abuse agencies and youth programs that have greatly furthered our primary mission of inspiring and empowering young men and women from all walks of life. Just a few weeks ago, we closed escrow on our next facility, which will become the home of our pack for generations to come, 165 acres of pristine land grandfathered into the Los Angeles National forest. This is a major accomplishment for any organization as young as we are. This facility will allow us to double the amount of animals we can rescue and house, it will have a retreat center, cabins, an organic farm, and amphitheater, campgrounds, and gardens … all designed by a top architectural firm. None of this could have been possible without the generosity of all of you, our growing community of followers and supporters, and the relentless commitment of our awe-inspiring staff, board, and volunteers. My boundless gratitude to each and every one of you – together we are truly making a difference. My promise to you is that Wolf Connection will remain true to its guiding principles of service, purpose, and professionalism. This is just is just the beginning so stay tuned. The door is open for all of you to experience and enjoy the deep connection between man and wolf – a connection that makes better individuals, better communities, and a respectful, sustainable species on this planet. With the population growth and shortage of water, rattlesnakes and humans are living closer together than ever before. However with presence of mind and keeping calm, encountering a rattlesnake does not need to be a dangerous experience. In the area where the ranch is located, rattlesnakes are c­ommon. With the safety of the pack, staff and volunteers a top priority, Wolf Connection brought in Bo Slyapich, Rattlesnake Wrangler, who has been handling and removing rattlesnakes for almost five decades, to educate the team. At Wolf Connection, the first course of action when a rattlesnake is discovered on the premises is to alert the pack care leader who facilitates the safe removal of the snake. However it was important for all of us at the ranch to be educated on how to handle this situation. With Bo’s guidance, staff and volunteers practiced how to humanely and safely pick up adult and baby rattlesnakes with snake tongs and place them in a lidded container for transfer to a location away from the ranch. Practicing with real rattlesnakes and with a professional aided in raising confidence levels for the staff and volunteers while instilling a very healthy respect for the rattlesnake, both critical when an actual encounter takes place and action is required. When bit, stop and sit. Call 911 immediately. Place the area where you were bit below your heart and keep calm. Do not try to walk or run for help, have them come to you. If a rattlesnake bites your pet take them to the vet immediately. When possible carry them to your vehicle to limit their movement thus slowing down the spread of venom throughout their body. Baby rattlesnakes are not more dangerous or venomous than adult snakes. Treat bites from either exactly the same (see above). Contrary to popular belief, rattlesnakes will not always rattle to warn you. When gardening, hiking, etc., it is important to stay present and aware of your surroundings. When hiking with your dog, keep them close. Gopher snakes look like rattlesnakes with the exception of the tail (rattle) and head (diamond shaped on rattlers). Another very significant difference is a gopher snake bite is not poisonous. Gopher snakes are great deterrents to rattlesnakes so if you have one living within the vicinity of your home, let it be. Snakes do not like to crowd each other within their respective hunting grounds and a gopher snake is a win-win—keeps pests and rodent populations in balance while deterring rattlesnakes. When you do encounter a rattlesnake, simply back away and call for help, either Bo or animal control. Do not attempt to remove the snake yourself. Rattlesnakes won’t chase after you, so once you have called for help, simply stay out of its way. For more information on Bo and his services, visit www.RattleSnakeWrangler.com. The Wolf Connection Team watches as pack member, Betsy, learns to properly catch a rattlesnake under Bo’s supervision. Logan is one of our senior citizens – in fact, he is 17 years old! This beautiful and sweet boy is a mix of wolf and malamute and has always had a gentle nature. As part of our original pack, he has been an important presence in our lives and in the lives of our clients since the beginning. Last May, as many of you know, Logan was bitten by a rattlesnake. Our staff and volunteers quickly noticed that something was wrong and he was transported to the vet immediately. His head was so swollen he looked like a polar bear. He was immediately started on antivenin, fluids and pain relievers. Our Logan, who is always sweet, was growling. It was the first time any of us had ever heard him growl. It turns out that the rattlesnake venom causes excruciating pain through the entire body. Normally gentle animals will sometimes growl after a bite because they can’t bear to be touched during this period. While he was being treated, our staff and volunteers took turns staying with him 24 hours a day. The vet came by frequently (every 10 – 15 minutes at first) to check him and order more antivenin, fluid or pain reliever as needed. He kept checking to make sure his breathing was normal. In some cases the lungs are immediately damaged and the animal cannot be saved because they cannot breathe properly and there is no treatment that can restore the lungs. We had hope because as Logan slept, the vet was happy with his breathing. Late on the first night the vet brought a can of food and a tongue depressor and handed it to a volunteer to feed Logan. We needed to know if he could still swallow, another concern, especially with the extreme swelling on his head. The good news was that Logan was swallowing and trying to eat the tongue depressor! The vet smiled for the first time and told us that this was a very good sign. He quickly brought another can. Left: Logan being cared for by pack member, Ana. Gradually over the next few days the swelling went down and Logan was able to begin walking and acting like himself. When he was brought home after several days, Logan was more energetic and bouncy than he had been before the bite. Because we are a non-profit, we had to do an emergency fundraiser to pay for Logan’s treatment, which came to over $3,000, even with a discount for our organization. For an organization like ours that is a substantial amount of money – and we didn’t have it. We really appreciate everyone who donated so that we had the money to save Logan. We don’t ever want to think twice about the care of our animals. Once we rushed Logan to the vet, we had to worry about him and how we were going to pay the bill. It’s really important to us that every member of our pack have the best life possible, because they are with us for the rest of their lives. Logan was saved from the rattlesnake bite, but he has ongoing care because of his severe arthritis. We spend $40,000 per year for medical care, medication and supplements to keep our pack healthy. We have animals that require special diets, allergy medicine, medication for arthritis or digestion, the occasional infection, dental care, supplements to help with digestion and bone health, and many conditions. As much energy and time as we spend on care, the unexpected also happens. We have had animals need emergency treatment for injuries, bites from poisonous toads, rattlesnake bites and stomach torsion. In some cases the follow-up care is also costly. The best way to help us with emergency care is to contribute to our Moonshadow Emergency Veterinary Care Fund. Our goal is to raise $25,000 to cover whatever 2015 may bring, so that we never have to question whether we can cover the expenses for the right medical treatment for our animals. 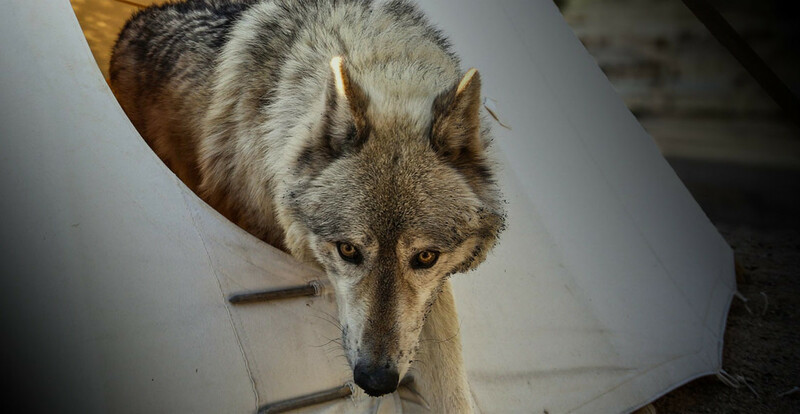 Please contribute to this fund – a critical part of giving the Wolf Connection pack the best lives possible! Once he is convinced his family is asleep, he creeps down the hallway towards the front door and sneaks out into the brightly lit night. He runs through the woods into a vast pasture where he stops to bask in the glow of the beaming full moon. Suddenly he starts to tremble and quake. He looks at his hands as they stretch and morph. Hair begins to cover his body as it grows and bursts through his clothing. His small human canines extend swiftly into massive fangs as he throws his head back and lets out a wild and terrifying howl. With heart pounding and senses acute, he gallops into the night to wreak havoc on the village, ravaging the women and eating most, if not all, of the children. Before the story even begins, we all know it and how it ends. Such a tale told through the centuries becomes ingrained in our minds, our hearts, and our culture. One of the first questions I usually am asked on a tour or during a presentation is, “Do they howl at the moon?” It’s one of my favorite questions because it opens the door for a lively conversation about the true beauty and complexity of the wolf howl. So…why does a wolf howl? And do they really howl at the moon? Wolves have an extensive vocabulary that has been lost to our contemporary domestic canine companions through thousands of years of breeding. Wolves communicate vocally with a combination of yips, yaps, whines, and growls. (Wolves generally do not bark). And then there’s the howl. There are many reasons wolves howl both alone and as a pack. We may never fully understand all the intricacies of these complex beings and their language, but here are a few that have been observed by those dedicated to studying them. A wolf pack uses the howl to bond. It’s a way of checking in with each other, connecting, and releasing energy as a group. This happens daily at Wolf Connection and is always something to behold. Each wolf in a pack holds a certain position or has a specialized job from Alpha, Beta, and Omega to Nanny and Tracker, to mid-ranking wolves looking to climb the ladder of success, to the pups. Each position is defined and recognized by a particular howl. Wolves try to avoid conflict at any cost. They know an injured wolf can quickly become a dead wolf, and that results in weakening the pack and lessening the pack’s chance of survival. A pack’s howl can be heard up to 5 miles away and serves as an “auditory fence” warning neighboring wolves to stay out of their territory. Many times a smaller pack will howl in different directions and add yips and yaps to the howl to create the illusion of being larger in number. Wolves also howl to stay connected to each other when out and about or off hunting. A family member who is out on his own and lost will howl back and forth with his pack to grasp his location and find his way home. A lone wolf looking to join a pack can listen to a pack’s howl and detect if there is a position missing in it. He will then howl back to the pack with that position’s particular howl to let them know he’s available to fill it. Through this communication, he may be asked to join the pack or told to stay away. Wolves howl together excitedly before a hunt to unite and “psych” themselves up in the same way a sports team might before a big game. An individual or a pack will howl to express emotion. A pack may howl sorrowfully to mourn the loss of a pack mate, or howl joyfully to express delight. For almost a year, our Alpha, Maya, howled a solo howl at the same time every day to mourn the loss of a pack mate she was close to. The rest of the pack knew this was her howl and never joined in until she welcomed them with a change of tone. Wolves don’t necessarily howl at the full moon but because of the amount of light the full moon casts, it’s easier to see. This inspires more activity, whether it be a hunt or just romping in the snow. The full moon is so bright some nights that it casts shadows. At the WC ranch, the pack is always more active – howling and playing during these well-lit nights. Often, we’ll take a group of them out on a moonlight hike and not even need flashlights. Regardless of the intent behind a wolf’s howl, its haunting beauty can touch one’s heart so deeply that it brings tears to the eyes. Most people will never be given the opportunity to have such an experience. It’s a joy to be able to make it possible at Wolf Connection. We don’t always know when the pack is going to howl but when they do, the power and beauty stops us in our tracks. Wolves and humans have an ancient bond that has long been forgotten and replaced with unnecessary fear. The howl of the wolf awakens something deep within us – a distant memory of that bond and a longing to have it once again. And with that rekindling, we can now pass down tales of the beautiful lullaby of the wolves and put the werewolves to rest. Paula Ficara has been volunteering and working with wolfdogs at Wolf Connection for five years. She is also an educator and advocate for wolves in the wild. Wolves are one of the few animals that care for their sick, elderly and young as a group. The well-being of the pack is the most important driving force in their character and they will put it before everything else. Moonshadow Emergency Veterinary Care Fund – help Wolf Connection reach our $25,000 goal to cover emergency medical treatment of your pack in 2015. We never want to turn down the rescue of a mistreated animal due to cost of care. 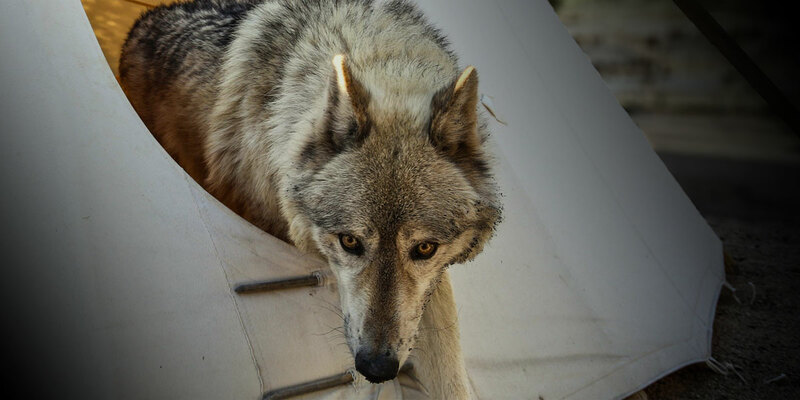 Sponsor a Wolf – Build a special connection with your wolf, visit them at the Wolf Connection Ranch during your sponsorship, receive an HD image by our wildlife photographer with your wolf’s bio, and receive a bottled tuft of your wolf’s fur to keep them always close. Donate and Recurring Donations – Recurring donations throughout the year could lead to a Sponsorship and are automatic! Build Your Own Campaign – Funds raised could lead to a Sponsorship! Promote your favorite wolf! Calling all artists!! Wolf Connection is launching our First Annual T-Shirt Design Competition!! Submit your designs for the backs of our 2015 T’s to connect@wolfconnection.org by April 15 and earn the privilege of being sported by the Wolf Connection community in 2015. Cheers and good luck! Become a pack member! Attend Wolf Connection’s Volunteer Information Session to see if you are ready for this challenge – it’s worth it! Meet the pack and the staff who care for them. Email volunteers@wolfconnection.org to register and receive times and location details. Come visit the Wolf Connection Ranch and meet your wolf pack! Visit our website and FaceBook pages for registration updates, or let us do the work for you… Sign up to get event news first.